Perfection Floor Tile HomeStyle Slate Tiles Dark Grey | 20" x 20" x 5MM | Sold by the Case | 6 Tiles Per Case | Each Case Covers Approx 16.62 Sq Feet (Each Tile Covers 2.77 Sq Feet) | Made In USA | Print: Lifetime Residential Manufacture Warranty | Free Ground Shipping | Request Free Sample Flexi Tile HomeStyle Slate Tiles, flexible interlocking tiles. This video is about PERFECTION FLOOR TILE NATURAL STONE INSTALL. 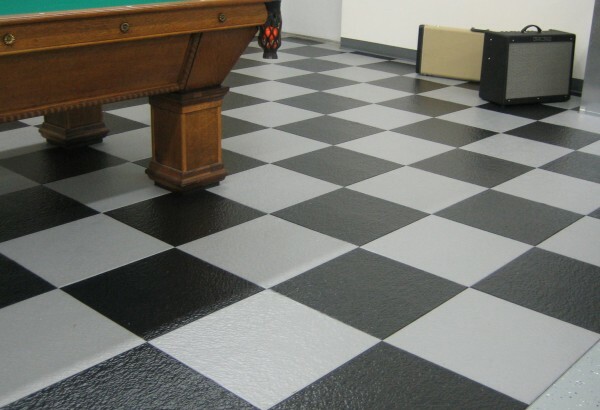 Tips on installing the loose lay interlocking floor tiles by Perfection Floor Tile. Hidden Interlocking Tabs, Easy Do it Yourself installation.